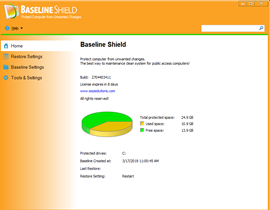 Baseline Shield protects computer from unwanted changes. 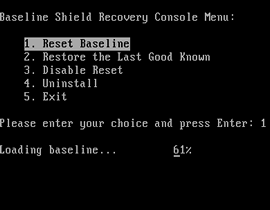 Regardless of what user have done to a computer: such as erasing files, installing software, downloading programs or deliberately tampering with Windows registry settings, Baseline Shield will reset the computer to its pristine baseline condition during restart, making the computer always perfectly configured and ready. 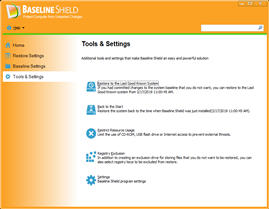 Where can you use Baseline Shield? Schools, Libraries, Hotels, Internet Cafes, Kiosks or any other public access computers. 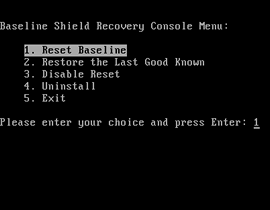 Reduce public access computer maintenance and support by up to 90%. Eliminate downtime or “out of order” signs at computers. 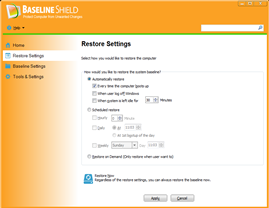 Simplify computer maintenance process and environment. Prevent identify thief and key board logging. 1. 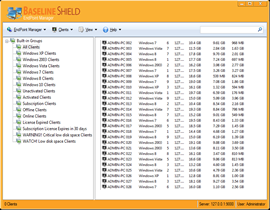 Baseline shield provides absolute desktop integrity from any known or unknown software threats. 2. 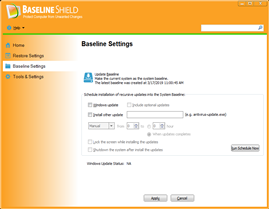 Baseline Shield is flexible, you can configure Baseline Shield to restore baseline at restart, logoff, every hour, every day, every week or on demand. 3. 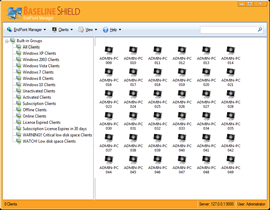 Baseline Shield comes with a FREE network management console (EndPoint Manager) that lets you to organize and remotely manage client workstations across networks in a graphical console. 4. 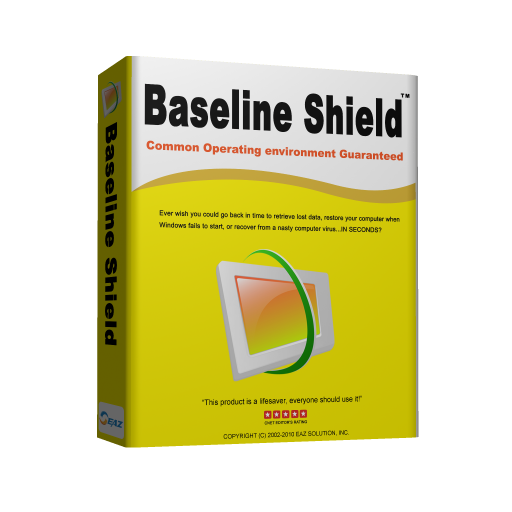 Baseline Shield is the best product with best price. We will match and beat any competitor’s price!